The trade magazine for technology-oriented management in the automotive industry provides the very latest information from the fields of research and development. 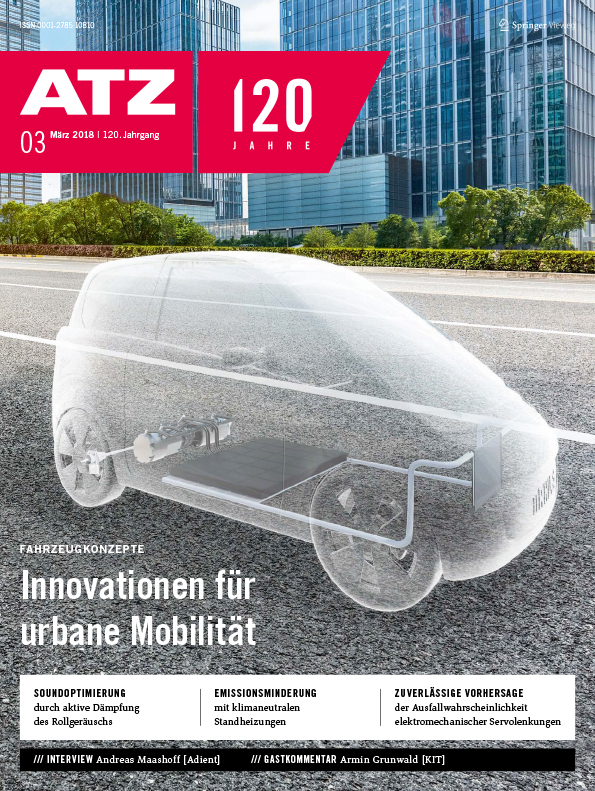 Available now and in addition to the printed issue - digital and interactive: The ATZ eMagazine! ATZ worldwide guarantees you the exchange of ideas and experience between the automotive industry and its suppliers, service providers and R&D centres all over the world since 1898. MTZ is the internationally distributed technical trade journal for decision-makers working in engine production and development, with a special focus on the latter. It promotes the communication of information and the exchange of ideas between engine manufacturers, suppliers and service providing companies, as well as between research and development centres worldwide. MTZ worldwide is the internationally distributed technical trade journal for decision-makers working in engine production and development, with a special focus on the latter. It promotes the communication of information and the exchange of ideas between engine manufacturers, suppliers and service providing companies, as well as between research and development centres worldwide. 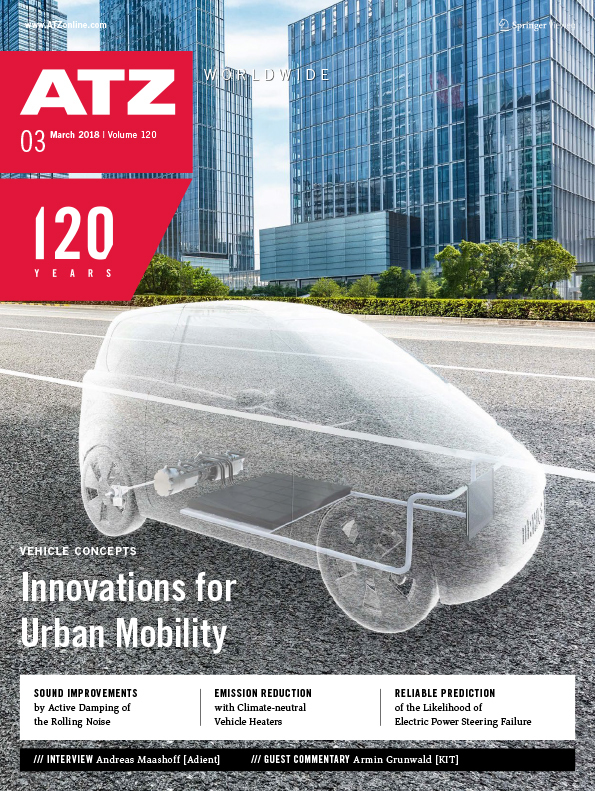 The English-language eMagazine ATZelectronics worldwide informs about the latest trends and developments in automotive electronics. At a scientific level. With a unique depth of information. Inform yourself about the latest methodologies in development, electronic components, future driving assistance systems, on-board electrical systems and energy management, software and IT, as well as many other areas. ATZheavy duty shows you the fascination of technology off the beaten track. It is the trade magazine for special-purpose vehicles and mobile machines. Thoroughly researched, technically adept and state-of-the-art. With lots of information and innovative ideas on such subjects as engine and exhaust technologies, alternative drive systems, transmissions, vehicle dynamics and chassis. Available now and in addition to the printed issue - digital and interactive: The ATZheavy duty eMagazine! 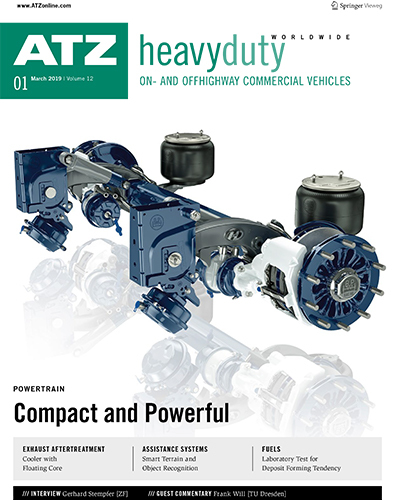 The innovative technical periodical ATZheavy duty worldwide offers the entire fascination of the commercial vehicle technology on and off the road, on usual high standard. ATZheavy duty worldwide reaches readers far beyond the commercial vehicle industry. Developers of construction and agricultural machinery, commercial road vehicles and industrial trucks are addressed as well as the wide range of industry suppliers. The consistent application of innovative lightweight construction concepts today plays a key role in reducing weight and saving energy. 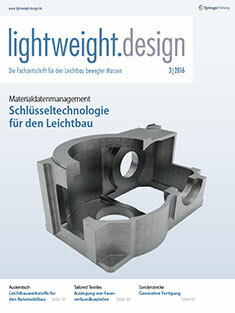 Lightweight design provides you with all the practical information you need for implementing lightweight construction principles in developing and manufacturing new products across the entire value chain from the material to construction technology, simulation and optimization procedures up to production technology, quality assurance and recycling. 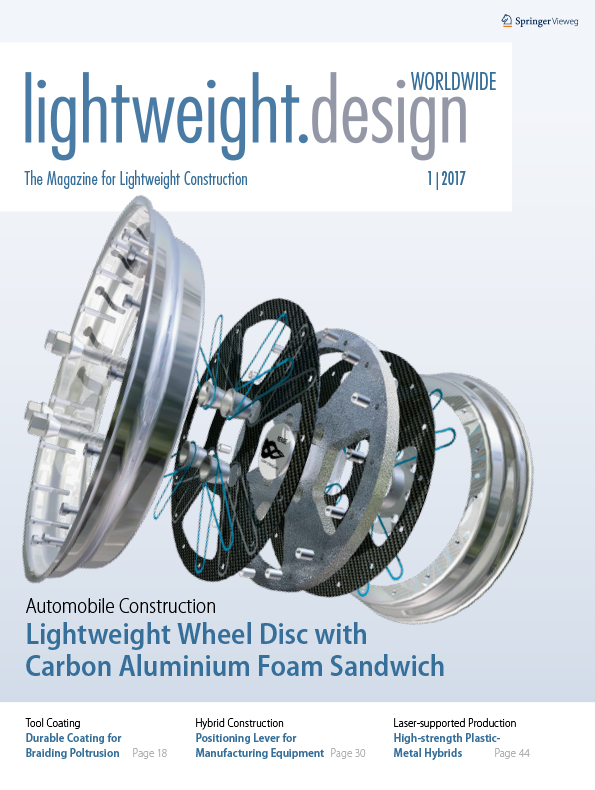 Experts and editors report on new developments in materials, construction methods and technologies for lightweight construction. The magazine includes news, interviews and specialist articles from the vehicle and aviation industries, the shipbuilding, rail vehicle and automotive industries, as well as from the automotive and aerospace industries and mechanical engineering as well as materials technology. ATZproduktion is the trade magazine for engineers from the fields of engineering and technical purchasing in automobile production. The magazine informs about innovations and management topics and analyses processes of the entire product development. The range of topics covers all important areas of automobile production from planning, production and assembly to final inspection. ATZproduction worldwide is the trade magazine for engineers from the fields of engineering and technical purchasing in automobile production. The magazine informs about innovations and management topics and analyses processes of the entire product development. The range of topics covers all important areas of automobile production from planning, production and assembly to final inspection. The trade magazine for technology-oriented management in the automotive industry provides information from the fields of research and development. The international eMagazine for technology-oriented management in the automotive industry provides the very latest information from the fields of research and development. The international magazine for decision-makers in engine development and production. The international eMagazine for decision-makers in engine development and production. 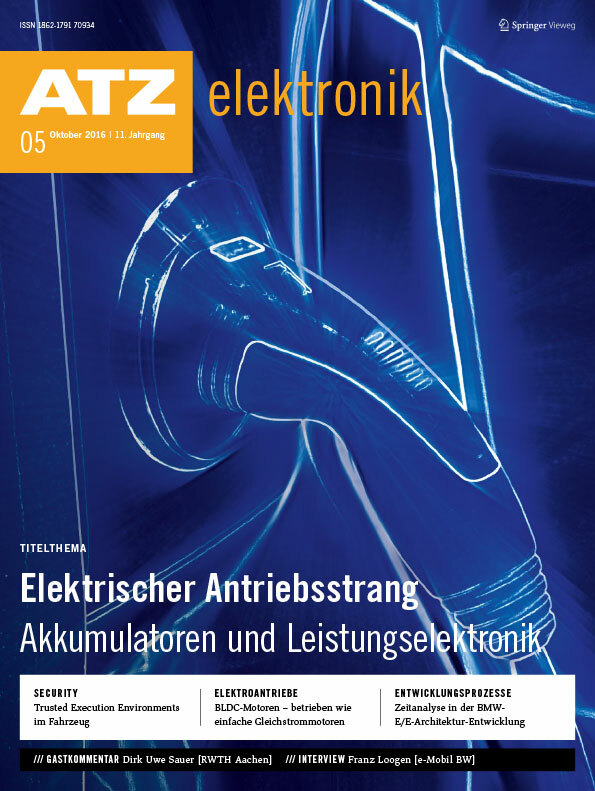 ATZelektronik informs you about the latest trends and developments in automotive electronics. At a scientific level. The international eMagazine ATZelectronics worldwide informs you about the latest trends and developments in automotive electronics. At a scientific level. ATZheavy duty the trade magazine for special-purpose vehicles and mobile machines. The international eMagazine for special-purpose vehicles and mobile machines. The trade magazine for the lightweight construction of moving masses. 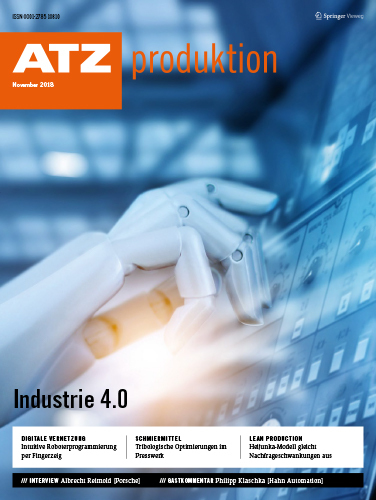 ATZproduktion is the trade magazine for engineers from the fields of engineering and technical purchasing in automobile production. 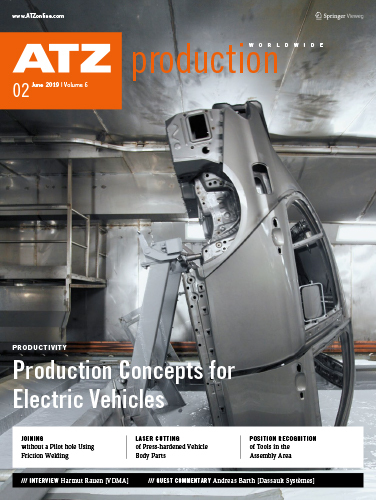 ATZproduction worldwide is the trade magazine for engineers from the fields of engineering and technical purchasing in automobile production.